A bill that would set up a public option for health insurance in every Washington county got a public hearing in the House on Wednesday. The bill, which was requested by Washington Gov. Jay Inslee, was the subject of testimony that ranged from full support to passionate opposition. Currently, plan providers offer plans on the Washington Health Benefit Exchange in tiers, based on a plan’s “actuarial value,” or how much of an enrollee’s total average costs for covered benefits the plan will cover. If the public option becomes a reality, all plan providers on the exchange will have to use the same benefit model; the theory being that this uniformity across the exchange would make the process of shopping and choosing plans simpler and more transparent for enrollees. Under the bill, the exchange would have to develop up to three standardized plans on three of the actuarial-value tiers. Non-standardized plans would be phased out and totally eliminated from the exchange by 2025. Those plans would have to pay providers rates that don’t exceed Medicare rates — something that was central to several testimonies Wednesday in opposition to the bill. The idea here is to bring competition in the market, something that, as the bill’s supporters often mention, is especially lacking in the 14 Washington counties where there is currently only one plan available. Finally, the bill requires the exchange to make a plan to implement and fund premium subsidies for people with incomes under 500 percent the federal poverty level, with the goal being that those people would not pay more than 10 percent of their incomes on premiums. Yesterday’s testimonies can be sorted into three categories: those in full support of the bill, those who think it goes too far, and those who think it doesn’t go far enough. Those in full support included several private citizens, King County Executive Dow Constantine, board members from the Health Benefit Exchange, the CEO of Community Health Plan of Washington, and advocates for organizations serving low-income individuals. Josh McGill, Gov. Inslee’s senior health policy advisor, spoke first, proactively defending the bill and its more controversial components like the Medicare rate cap. “Let me assure you that, although we are definitely open and genuinely interested in further conversations in that regard, I submit to you to consider these arguments with a grain of salt,” McGill said. He went on to explain arguments for why the cost-shift involved with the rate cap involves little risk — including that the public option only addresses 4.4 percent of the total market and that Washington is already making investments in areas like behavioral health and coverage for school employees. Pam MacEwan, CEO of the exchange, discussed technical changes she’d like to see, but expressed support for the bill overall. “The exchange is very well-positioned to implement standard plans and to join seven other state exchanges that are implementing standard plans in their own states,” MacEwan said. Mark Stensager, an exchange board member who has worked in the healthcare industry for four decades, acknowledged the wide-reaching impacts of the bill while stressing the need to take action on affordability. Representatives from the Washington State Hospital Association, Washington State Medical Association, National Federation of Independent Business, Association of Washington Healthcare Plans, Association of Washington Business, America’s Health Insurance Plans, Kaiser Permanente, and the Washington State Chapter of the National Association of Insurance & Financial Advisors all testified about their concerns of the bill’s potentially reverberating impacts. A common refrain: a Medicare rate cap would “destabilize” the health insurance market. That, in turn, would impact individual and group health plans as well as rural health care. Arguments against the cap included that it would limit networks available on the plan and decrease doctors’ availability for Medicaid enrollees. 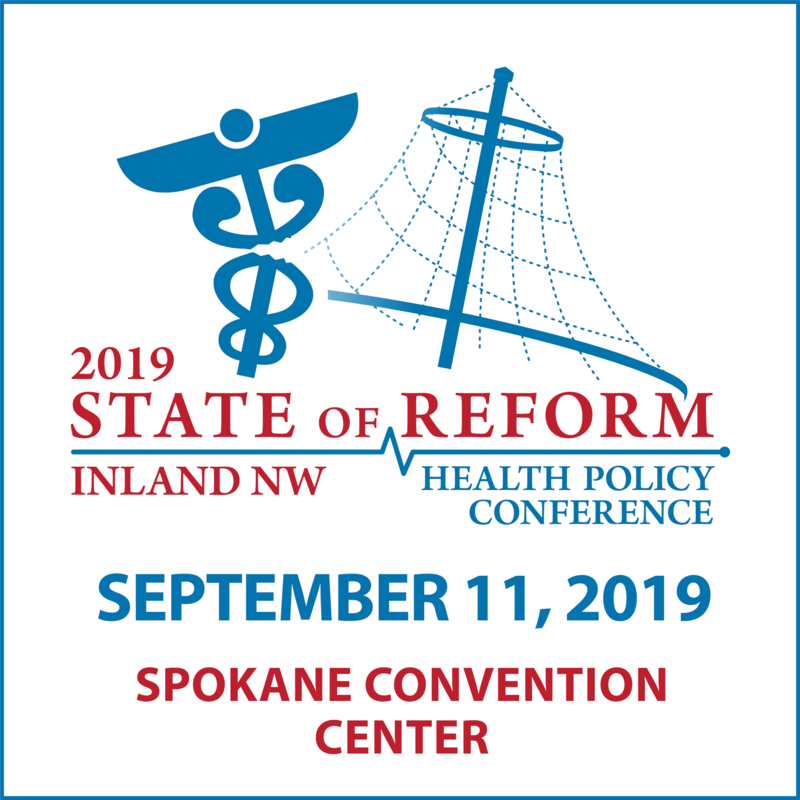 Medicaid rates of reimbursement are 50 percent lower than Medicare rates, in most cases, according to testimony from Meg Jones, who represented the Association of Washington Healthcare Plans at the meeting. Jones argued that small employers would stop offering coverage and their employees would enter the individual market, putting pressure on larger employers’ premium rates — eventually, she said, those larger employer groups would release employees into the individual market as well. While most critical testimonies were in favor of the standard benefit design portion of the bill, Patrick Connor, representing the National Federation of Independent Business, voiced concern about it being the only option. Rep. Eileen Cody, who chairs the committee and is the bill’s prime sponsor, responded to the rate-cap concerns by detailing high hospital CEO salaries and using a little sarcasm. Georgia Davenport, who introduced herself as Washington State Democratic Party Central Committee Representative for the 33rd LD and Campaign Director for Whole Washington, testified that the bill doesn’t do enough. Other testifiers voicing similar concerns included private citizens, members of advocacy groups, and a self-employed physician providing care in rural communities. A couple testifiers asked the committee to instead consider a bill like SB 5222, which would establish universal health care in Washington. That bill has not been scheduled for a public hearing at this point. The public option bill is scheduled for executive session next week.